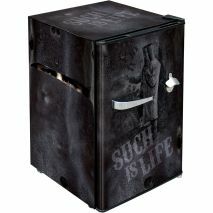 Dice Design Retro Bar Fridge - Quality quiet running vintage looking mini bar fridge, tropical rated. 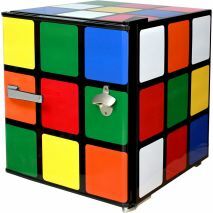 Cube Style Retro Bar Fridge, neat 46 litre quiet running and reliable units with retro handle and opener. Luggage Case Design Retro Bar Fridge - Quality quiet running solid door mini bar fridge. Funky Soccerball Football Design Mini Bar Fridge With Handle And Opener - Add Your Name! Soccer Ball Design Retro Bar Fridge - Add Your Own Name Makes A Super Gift! 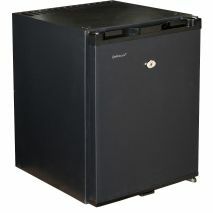 HSV Holden Retro Bar Fridge - Quality quiet running solid door mini bar fridge, tropical rated. 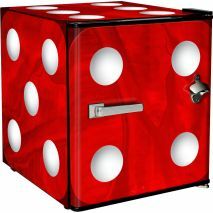 Dice Design Retro Bar Fridge - Quality quiet running vintage looking mini bar fridge, Tropical rated and 9 colors available! ACME Crate Design Retro Bar Fridge - Quality quiet running vintage looking mini bar fridge, Tropical rated and 9 colors available! TOXIC Waste Crate Design Retro Bar Fridge - Quality quiet running mini bar fridge, Wile E Coyote style. 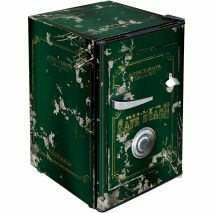 Retro Ned Kelly Design 70 Litre Mini Quiet Running Bar Fridge - Quality quiet running solid door mini bar fridge. Currently out of stock - next container arrives end of September. Retro Bar Fridge Old Safe Design - Quality quiet running solid door mini bar fridge, ask about customizing the design. "Choose from 7 Cool Designs, Add In comments what color you want on checkout!" 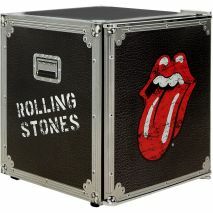 Rolling Stomes Design Retro Bar Fridge - Quality quiet running vintage looking mini bar fridge. Amplifier Speaker Design Retro Bar Fridge - Quality quiet running vintage looking mini bar fridge. Silent mini bar fridge, with width of 350mm and depth of 385mm. It's great for tight applications where 'small' is needed. Dellware are a world renowned brand for these types of units. Great Gamer Fridge!